This beautiful mini bow end cabinet is perfect for displaying on top of counters or shop windows, as well as any small space. 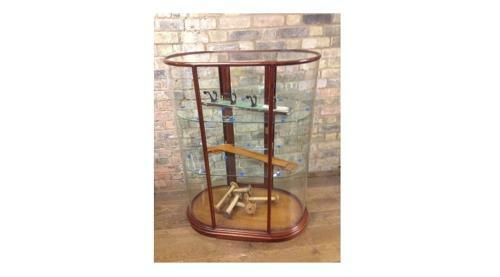 It has a beautiful mahogany frame with two layers of adjustable shelves and a functioning lock. This shop cabinet could be made any size or colour.